Tech in Asia is a well-respected online source of information for anyone active in technology. They cover a wide range of tech-related topics for Asia and have been ‘officially’ around since 2011. They also serve as a platform for start-ups to connect and learn from each other’s initiatives. They organise the Tech in Asia conferences in Singapore, Bangalore, Tokyo and Jakarta. The Singapore edition takes place on April 12th and 13th at Suntec and here is what to expect. 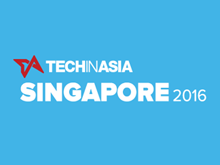 The Tech in Asia conference byline is: Connecting Asia’s tech world. The conference is carved in 6 stages covering different aspects of the tech business. The 6 stages are: Main Stage, Adtech Stage, Developer Stage, Product Stage, Fintech Stage and Investors Stage. The stages will feature a host of speakers. Noteworthy are Takeshi Idezawa, CEO at LINE Corporation, Danielle Levitas, SVP Research & Analysis at App Annie, Saemin Ahn, Managing Partner at Rakuten Ventures and Eduardo Saverin, Founding Partner, B Capital Group & Co-Founder of Facebook. The facilitate networking and help start ups meet investors, the conference features a Speed Dating session, the Bootstrap Alley, a Meet the Media pit, a Night Crawl and a Luncheon on both days of the conference. The conference takes place at the Suntec Convention Centre in Singapore. Passes are available via the Tech in Asia events page, where you will also find more information and a FAQ around the Bootstrap Alley. As a Tech in Asia media sponsor, AdAsia offers you an exclusive discount code, mpada. With this code you can purchase any of the 3 main pass types – Startup, General, Investor – at a 20% discount. But be quick: this code is limited to the first 20 completed transactions!